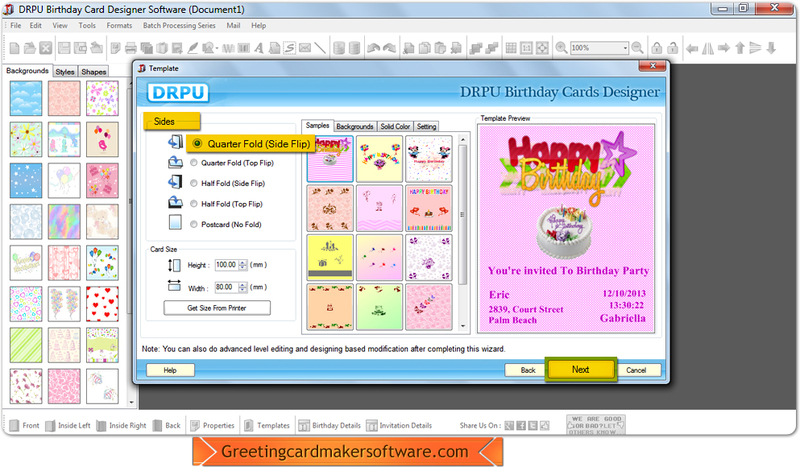 Birthday Card Maker Software screenshots facilitates you to understand software working features, and helpful to easily design birthday cards of your dear and near ones without any technical assistance. 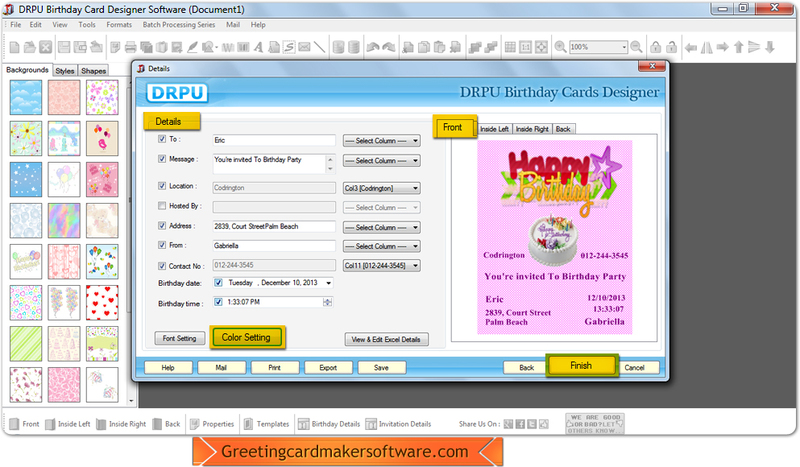 Choose any one option to design birthday invitation card and click on next button. 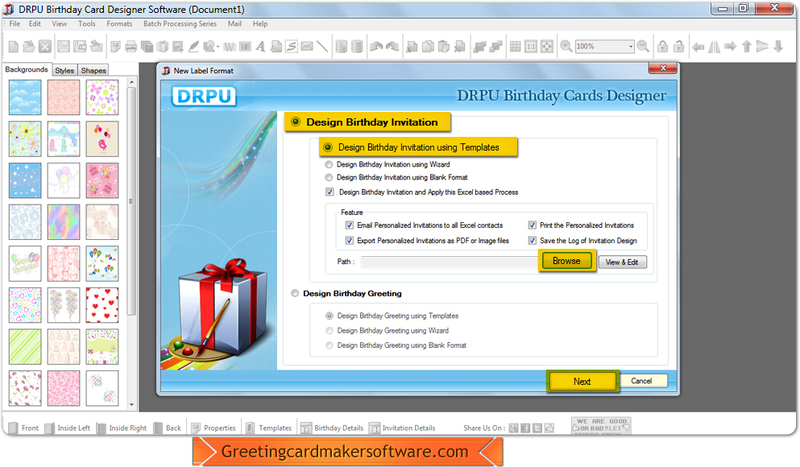 Proceed with folding option for template to generate birthday cards. This is the final step , Fill your details and send to your relative, friends etc.